Creating Custom Google MAP is an easy but powerful way to represent your location. 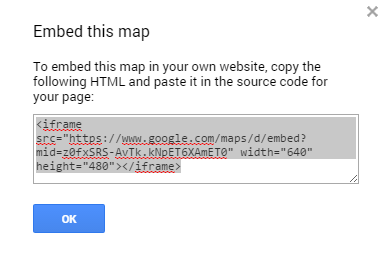 You can create custom Google Map and embedded it into your websites or blog using the following instructions. 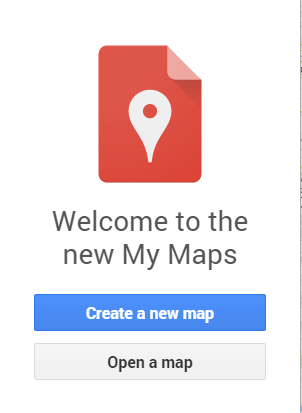 For Create a new map, Type in any street address or geographic location and click the Search button. 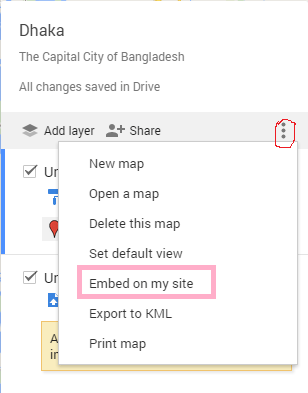 Once your map is fully loaded, click on Share in the upper right hand corner. A window will appear, as illustrated below. If your window says something other than “Public on the web”, click on Change and select Public. Click on the option button found left side of Add layer & Share button and a pop-up window will be opened . Click on “Embed on my site”. 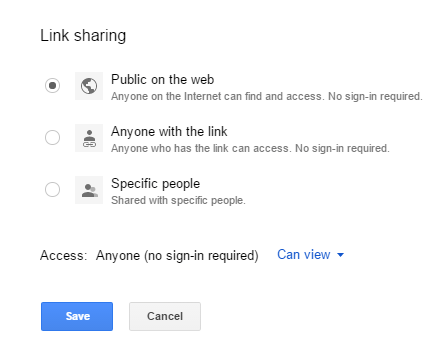 This will open a window with an embed link. Copy the entire code. Paste the code directly into your website post or page. Creating custom Google Map let you put different marker, distance, directions which will help your visitor more precisely identify your location’s highlights.